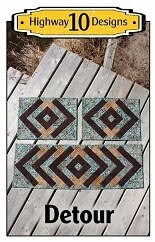 Tamarack Shack: Modern Quilt and the Giveaway Winners! 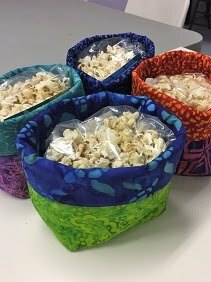 Modern Quilt and the Giveaway Winners! 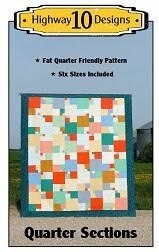 This is Donna’s Modern quilt and it a baby gift for a family members. I was expecting a smaller baby quilt but this one is 58” x 80”. It is more for decorating the nursery as the room is done in grey and aqua and maybe the mom will use it to sit under when cuddling the baby. 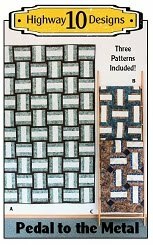 I was able to try one of my new pantos called Gatsby and I really works great on a modern quilt. I used a grey So Fine thread and Quilters Dream Blend batting. The backing was a soft grey print. The first winner is comment #40. Congratulations Michele, I’ve emailed you to get your mailing address and will send you the blue kit. The second winner is comment #74. Congratulations Grandma M, I know your mailing address but have emailed you to give you the good news and you will be getting the brown and teal kit. That worked out well! Thank you to everyone that entered, it was fun to read your comments and see new names that I didn’t know where visiting my blog. 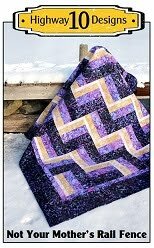 Ooo - That Gatsby panto is perfect for this quilt - goes so well with the fabrics. 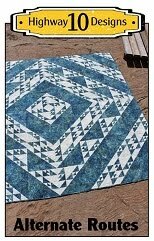 Detour– Pattern Number 6 and a GIVEAWAY!